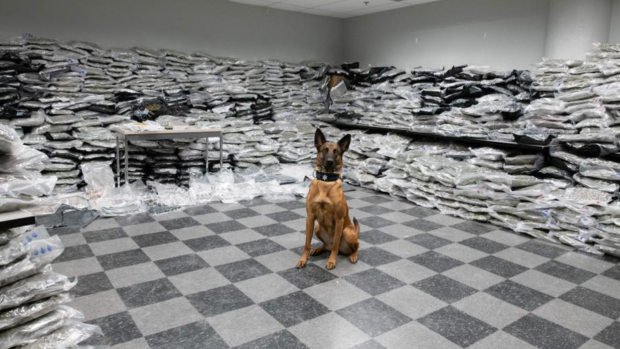 A police dog in Chicago sniffed out US$10 million worth of marijuana and then posed with the contraband in what has become a viral image. The Chicago Police Department said on June 21 officers with the narcotics unit pulled over a pickup truck and trailer in Midlothian, Ill., about 38 kilometres south of Chicago, as part of an ongoing drug trafficking investigation when a police dog named Jayda sensed a smell of narcotics coming from the vehicle. When officers began to search the truck and trailer, they found more than 680 kilograms of marijuana, worth an estimated US$10 million on the streets. Officers say the pot was allegedly on its way to Chicago from California. On Facebook, the police department shared a picture of Jayda in a room surrounded by the marijuana she helped uncover. Piles of the drug are stacked half way up the wall. 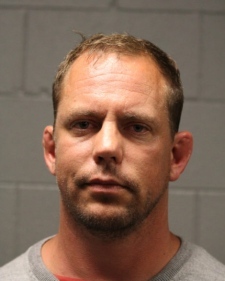 Police say the alleged driver, 42-year-old Jason Tanner from Lakehead, Calif., was arrested and charged with possession of more than 5,000 grams of cannabis. The truck and trailer have been seized.